Dear oh dear I had a busy weekend (it was fun as well), but I finished reading the “Little Paris Kitchen” cookbook (and trying almost all the recipes) which has taken me a whole year. I of course could not make all the items from the book. Some of the recipes were not very family friendly such as steak tartare, some had ingredients that were hard to get in regular supermarket (even if I tried to get a substitute) or I simply missed the season (oops!). I also must admit I did not plan the cooking of the recipes very well. I did very little at the beginning of the year and then by the end of the year I tried like 10 recipes a week. Which made things slightly stressful, but I am very glad that I made it. Yey! What I liked about it? I first fell in love with the style of the book and the pictures (am I shallow or what? ), but then I really liked the recipes as well! these were classical recipes with a twist. Some were surprising and amazing and some were ok. Some recipes forced me to experiment as I did not have all the ingredients (but found some substitutes), which worked out wonderfully well. I felt some of the basic recipes could be reinvented again and again. It really woke my excitement up when it comes to cooking! I once again felt like in heaven when tasting different flavours. What did I not liked about it? Some of the recipes were more complicated than they had to be. When making some of the basics such as caramel I had to google other recipes/videos as I just did not get it right from the book. 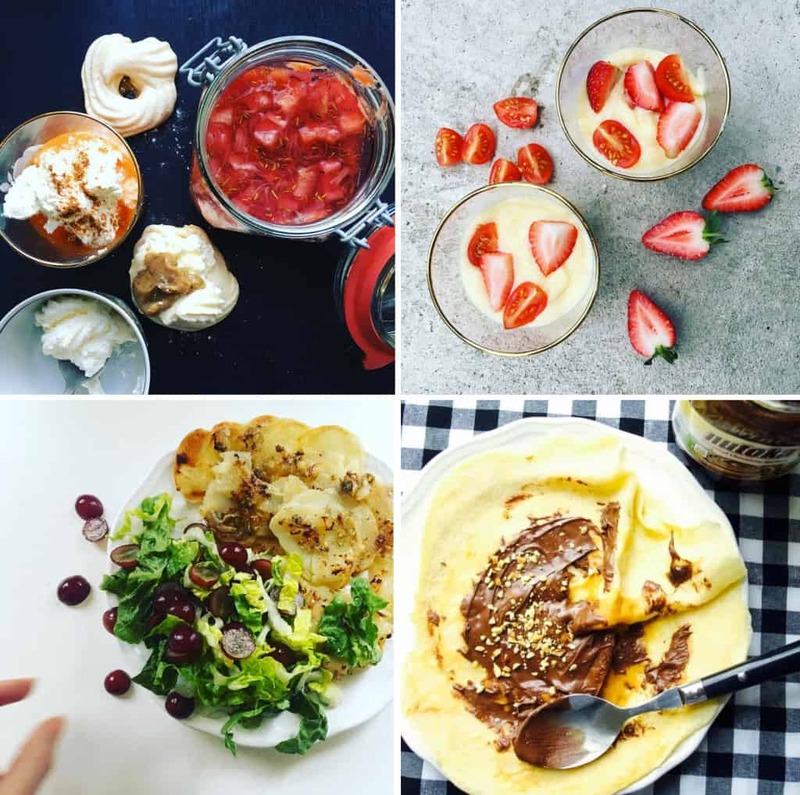 It seemed like Rachel Khoo loves challenge herself and sometimes overcomplicate some recipes just because. I also have slight suspicion that there were some mistakes in the recipes. For example, I was trying to make this spicy sauce that had nothing spicy in the ingredients. Is it worth buying? Absolutely! It’s a beautiful book to own with all the basic french recipes at the back (which I still use). 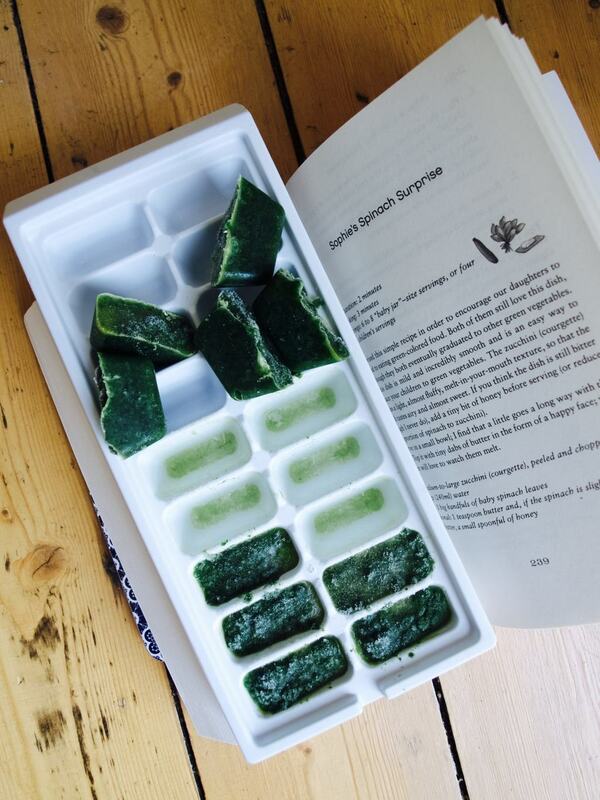 Perhaps this could be good gift idea to a foodie? 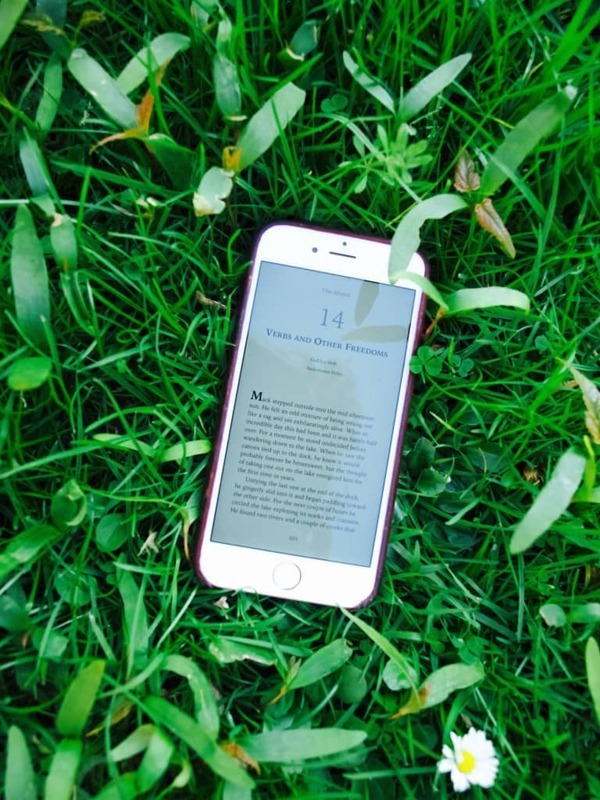 So lately I been reading like mad, its that time of year when it is about to end and I have like few books to still read…Eek! I finally finished reading “Anna Karenina” (that was quite a mission). It’s made out of two books people!!! This book is considered a classic and I think its not only because it is old. It is set in 1873 when author himself was alive, which means his description of the lifestyle at that time is quite genuine (very interesting to read about that) . It covers lots of subjects such as philosophy, politics, women rights, culture and farming so I think it should cover everyone’s interest. 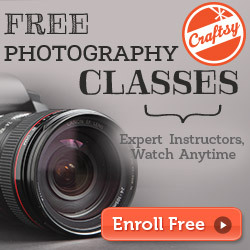 I must admit some of these subjects bore me to death. But it’s ok, it included lots of psychology and thought process of the characters in the story, so I was quite entertained. Sadly the movie (newest 2012 edition) does not have the same impact. In return it is quite theatrical and visually appealing, so it was ok. I have a feeling you may not get the main point if you watch movie first, but at least is artistic and I really enjoyed it for that exact reason. What I liked about it? Psychology of the characters in the story of course! I love to see what these characters think and the reason why they act like they do. I also found it fascinating to see what people did for entertainment and communications. It sounds like telegrams were almost like texting in comparison to today’s communicating. What I did not like about it? Well… some of the subjects and thought process of some of characters was very very boring to me, but I am sure somebody else would find this very interesting. I bet everyone knows this book! It’s a classic cringe comedy as Joni would call it. Oh, and it made into the movies! To be honest I felt like the movie actually polluted my imagination as I was reading this book as I could just imagine Bridget as Renée Zellweger (there is no way from running away from that image now!). Although as expected there are plenty of differences between the book and the movie. What I liked about it? Writing style of course! As you know me well, I really like casual chatty writing style ;-). Besides, I could really relate to Bridget and all her awkward moments. Not her lifestyle thankfully although I do envy her freedom a tiny weeny bit. One think I couldn’t agree more with Bridget is the subject of Christmas gift giving. This sums it up exactly how I feel: “Ugh. Would that Christmas could just be, without presents. 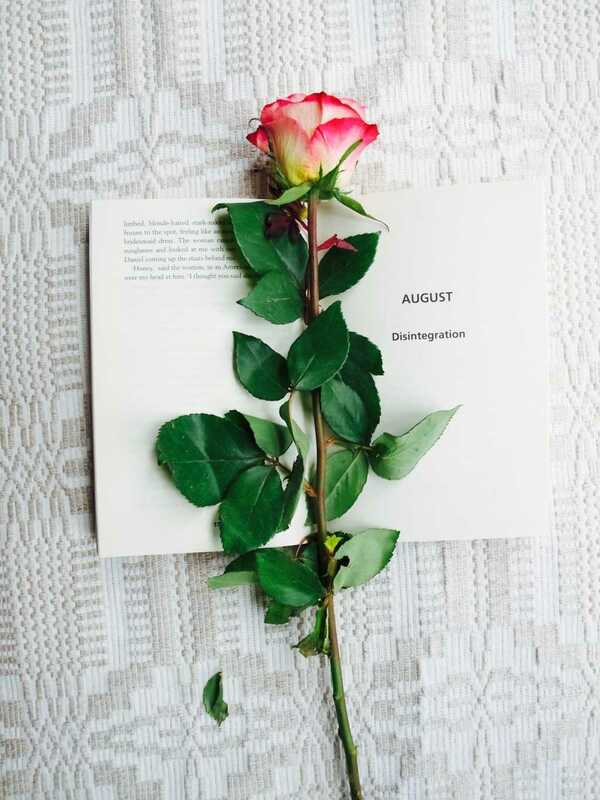 It is just so stupid, everyone exhausting themselves, miserably haemorrhaging money on pointless items nobody wants: no longer tokens of love but angst-ridden solutions to problems…”. There you go, I said it! What I did not like about it? Hmm… nothing really. I must be a fan of cringe comedy then (lol). Is it worth buying? Certainly! 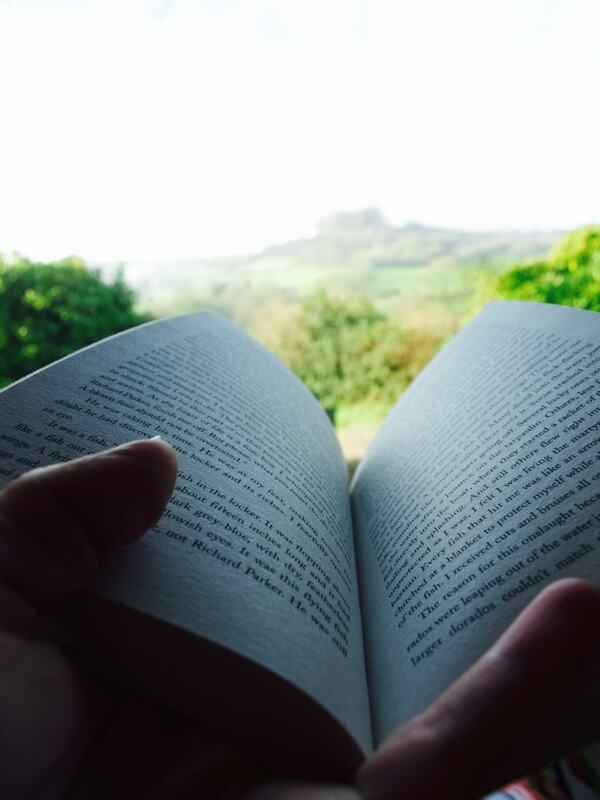 it’s an easy read, perfect for holidays. Even if you watched the movie million times! 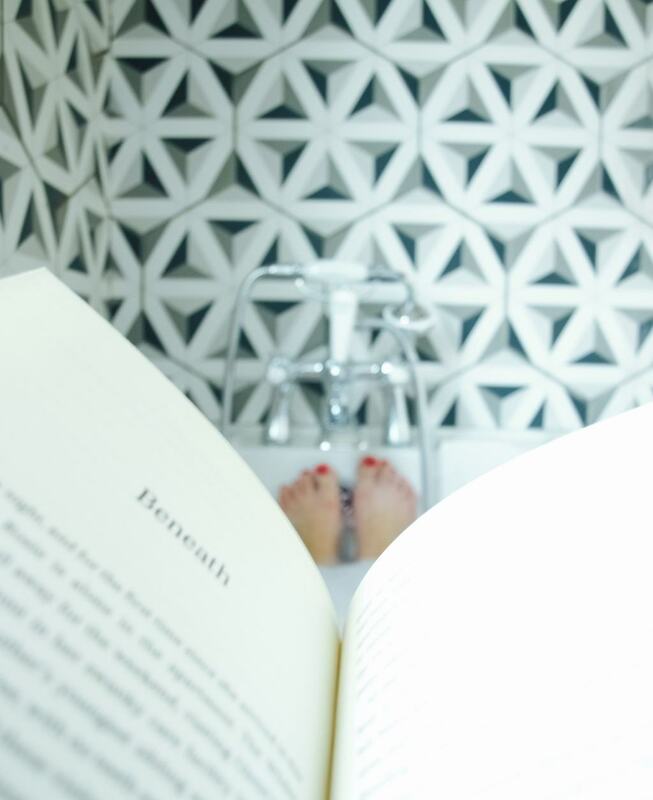 Have fun while reading! This book turned out to be exactly what I expected to be. I am not sure if 20/80 principle is common sense or if I knew it deep in me but I feel like I have not learned much. I have been reminded of few things, but certainly it have not been ground breaking! The 20/80 concept states that the world is unbalanced and 20% of what we do and have are more important (produce the main results) than the rest of 80%. So essentially we should focus on those 20% and try to do more of it to improve productivity. Doesn’t it sound a bit familiar to you? Don’t we all try to prioritise anything that we see is producing highest results or enjoy it best? What I liked about it? Although it was not life changing, I loved authors honesty. He often writes how you should not read everything in his book and learn to skip pages. It is true only about 20% of this book is important and applicable personally! I also liked that data is not everything in finding out what is efficient and worthwhile. The book strongly suggests to use intuition when making decision and not to be afraid to experiment and not persevere with losing solutions. Which is what I kinda knew, but not put it into practice much. I now know that is best not to act immediately, but do some quiet thinking first. What I did not like about it? I think writing style was my biggest dislike here. It made me drowsy every time I read this book (or was it sleep deprivation?). It was too repetitive and had many dry technical words that I did not even understand. Is it worth buying? Yes and no. It depends if 20/80 principal familiar to you. If you have never heard of it then it is definitely worth reading about it. Hope you found my little review useful! I finished this book just in time for Easter, which reminded what relationship with God is really about. Thanks for iBooks version I could read it on my phone while in labour or while feeding Tomas to sleep. Basically I have been reading this heart warming book just when I needed, during the most challenging times in my life! What I liked about it? Creative way of describing about God as a trinity and how relationship with God looks like. In the story the God himself invites the main character for a weekend away just to fellowship and demonstrate what real love is. And what’s a better way to do this? I think it also explains why bad things happen in the word to most innocent. Which sort of answers the biggest question people tend to ask “where is God when there is so much wrong in the world”. What I did not like about it? Is the writing style that I found was too descriptive in parts and covered with unnecessary adjectives. This made the reading not as gripping as it should have been and therefore I found my mind wondering off often as I read. Is it worth buying? Well… are you interesting to find out the real meaning of Easter? Do you wonder if there is more to life than this? Have you been hurt and wondering where God is? 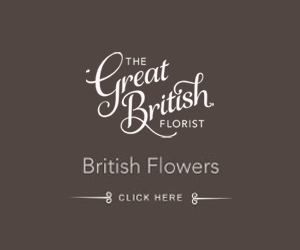 Than this is a definite read for you ;-) Enjoy reading! Since the pancake day is approaching soon (the day surely not to be missed) I have been practicing making pancakes the French way. 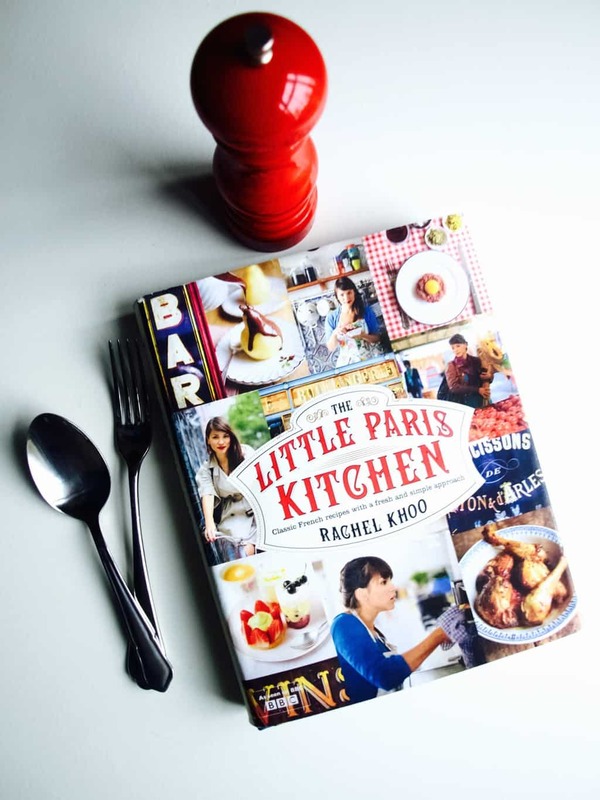 I of course were learning from the best, Rachel Khoo and her book “Little Paris Kitchen”, that I am reading right now. 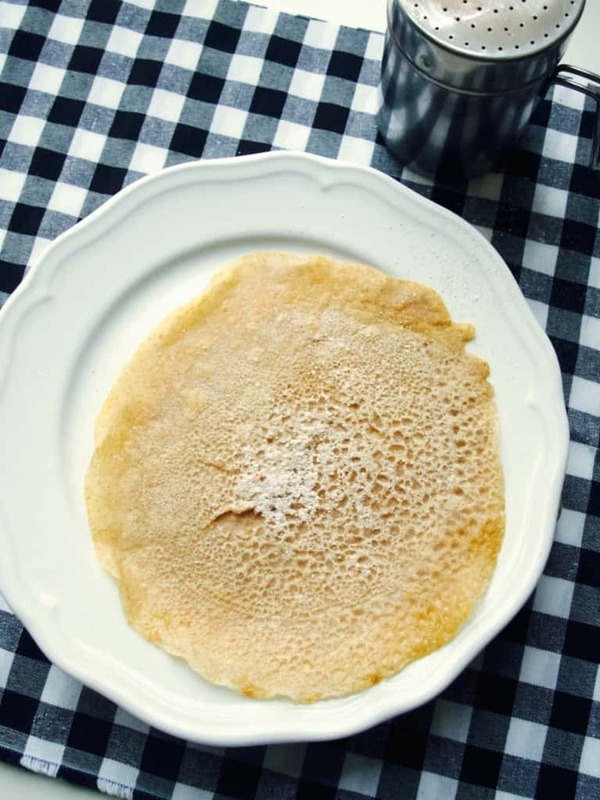 It turns out that French don’t only live on crepes but also galettes, which is tricky type of pancake made purely from buckwheat flour. 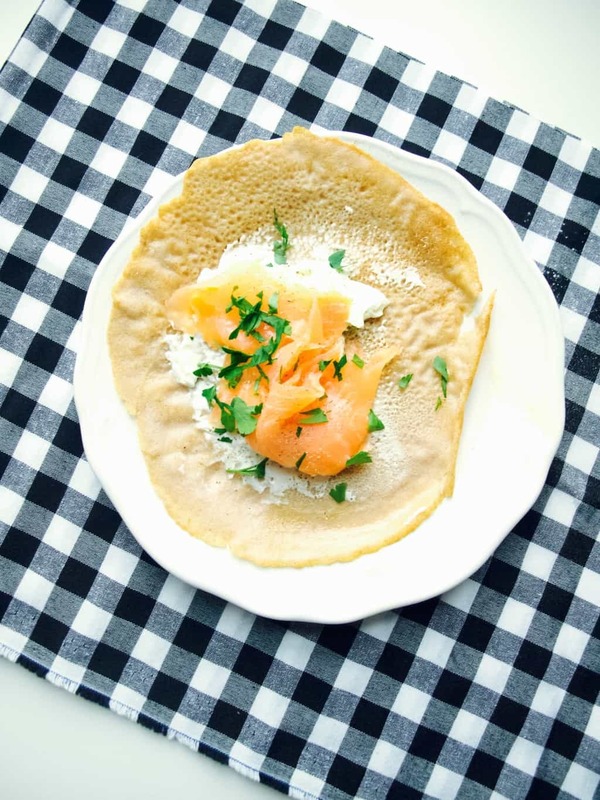 While I have made similar pancakes to crepes before, I was clueless about the galettes. This is why I decided to share the recipe with you here. 1. Mix the flour and salt in the bowl (or jug). 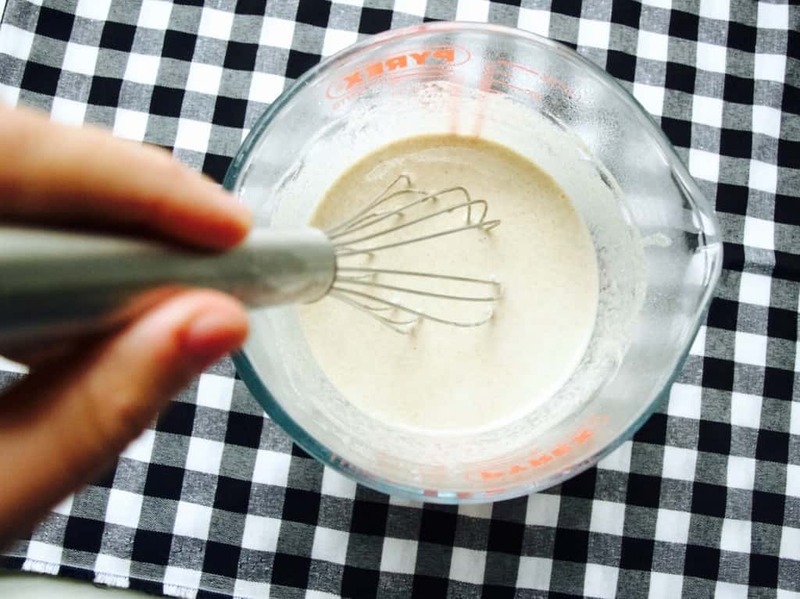 Gradually mix in the water, adding only enough for the batter to have consistency of double cream. Don’t overdo as this will make rubbery galettes. Place the bowl into the fridge for an hour at least. 2. Melt the butter in well heated frying pan. Pour one spoonful of batter and immediately start swirling round the pan to get nice even layer. 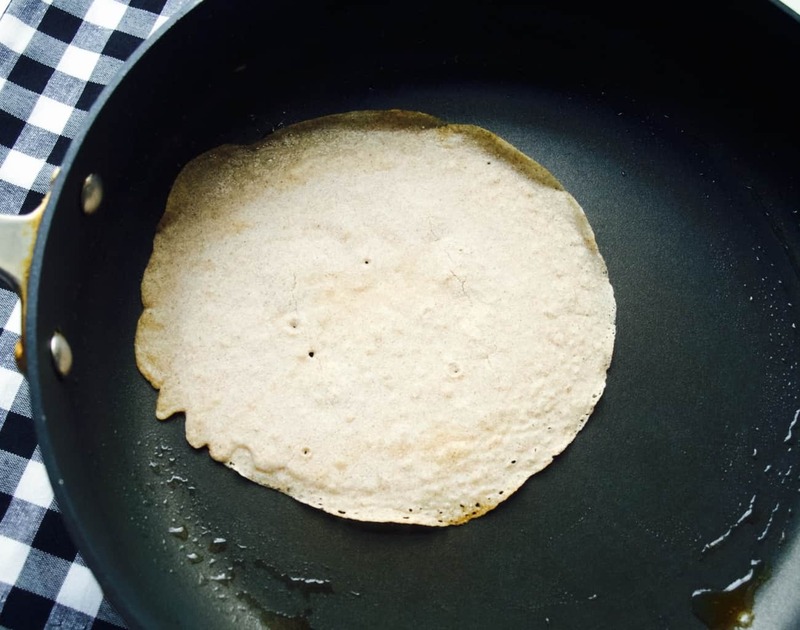 Loosen around the edge with a spatula once the top “dries up”, then turn the galette and cook for further 1 minute. These can then be eaten with sugar and cinnamon, or any other filling, I think savoury ones suits best. Like the cream cheese with salmon, Yum! Happy pancake once it comes! So no baby here yet, but I am definitely on top of my reading list this year. Decided to prioritise the parenting book, although what I learned is better applied to Lukas rather than the new baby to come. “How Eskimos Keep their Babies Warm” is a very interesting book about parenting in different cultures. 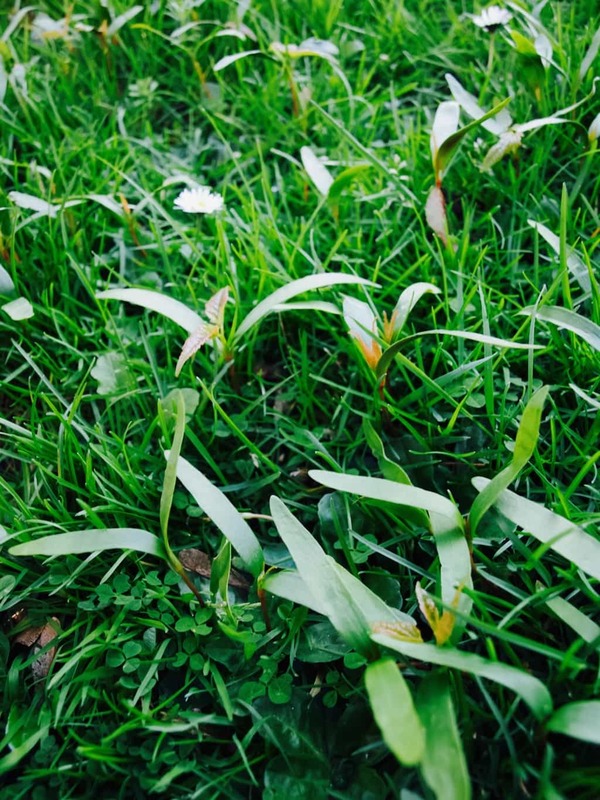 This is a subject I really love, therefore reading about it was super great…. However I still don’t know how Eskimos keep their babies warm :D.
What I liked about it? is the structure of each chapter. 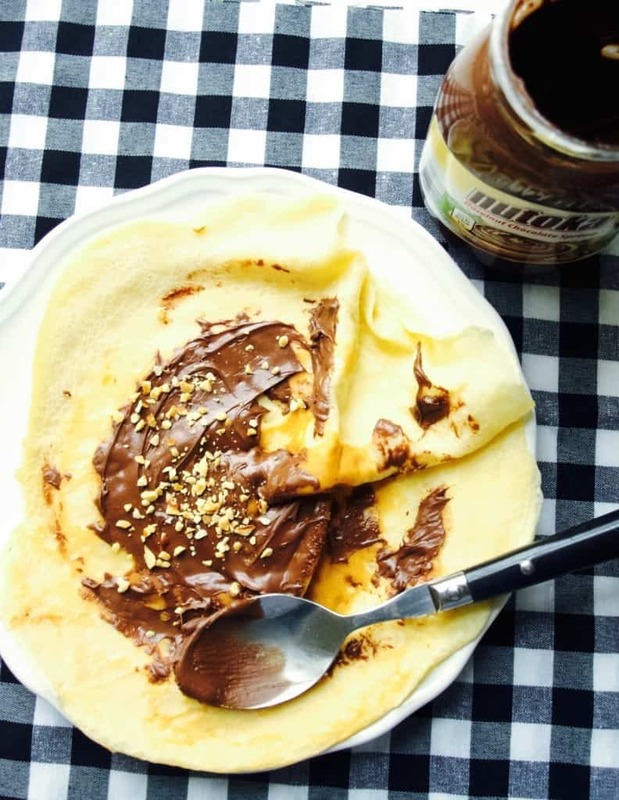 It usually starts with the specific culture (such as French) and then goes on describing what this culture does differently or particularly interesting when it comes to parenting (such as how French teach their children to love healthy food). Then it compares to American culture and how the author herself applies what she learns from her research in her own culture or what problems did she experienced while applying the new way to her daughter. 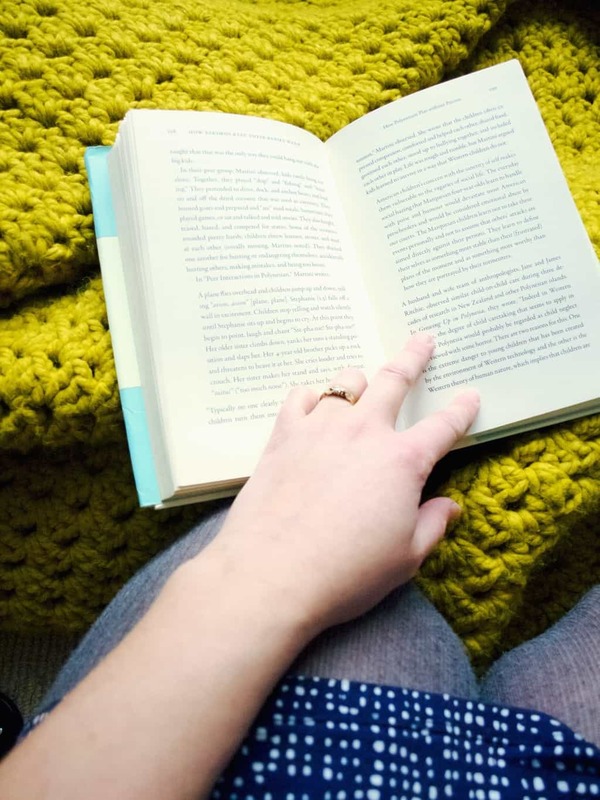 What I really loved was that the information is non judgmental, lets you decide if that particular parenting wisdom (or parenting style if you prefer to call it that way) is right for your family and child. Which is great! Because I realised a while ago that there is no one right way to do parenting. Although I do sometimes find it difficult what to choose. I guess the first born has to be a guinea pig :D.
What I did not like about it? Is the writing style. I found some parts were a bit dry and therefore boring to read even if the subject itself is very interesting. Is it worth buying? Only if you are open to different parenting styles in different cultures and like reading about different ways of upbringing. If you are looking to solve some sort of parenting issue you have then I think this book may not be for you. It can be slightly confusing as it does not offer straight to the point advice, but instead it discuss the differences between cultures and pros and cons between them. 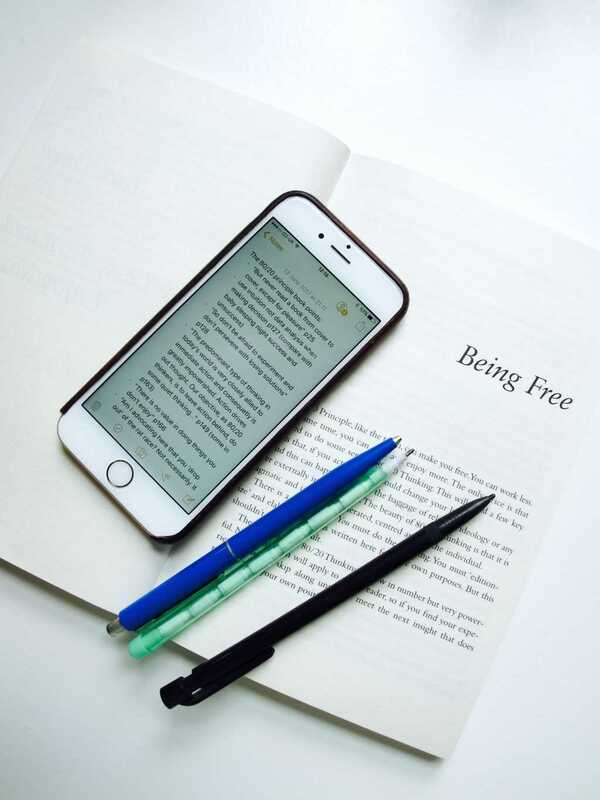 Hope you found my reading useful! 1. 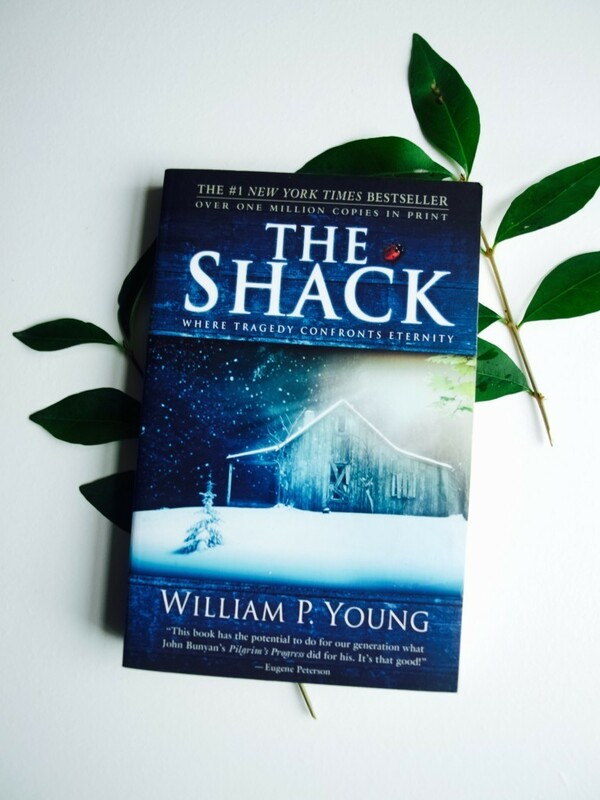 “The Shack” by William P. Young have been one of those books that were highly recommended but personally I could not go through the first chapter. I even tried reading it in Lithuanian translation hoping the descriptive writing won’t be so annoying in different language. But that did not work either! I hope having it on my goal list will make me more motivated. 2. 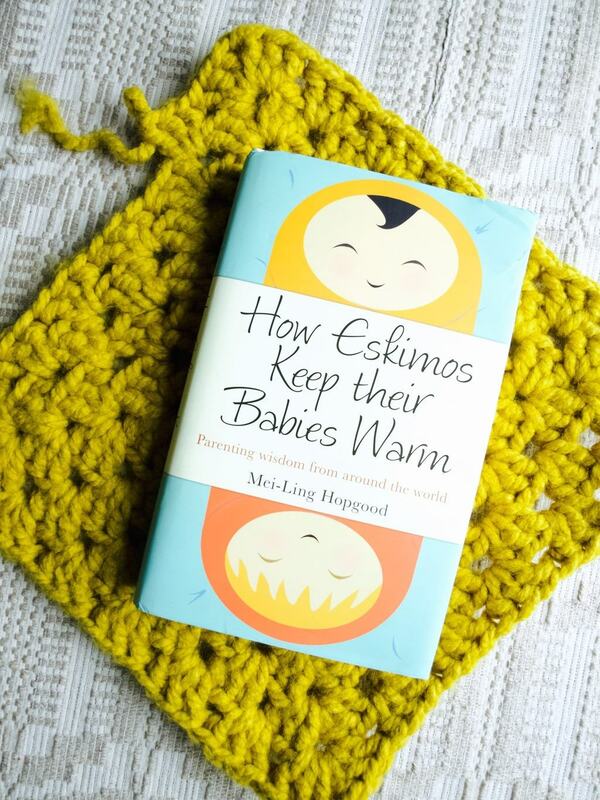 “How Eskimos Keep their Babies warm” by Mei-Ling Hopgood has been on my wish list forever. I like the title of it as much as the idea of parenting that is inspired by different cultures. After reading about French parenting last year I am ready to explore more! 3. 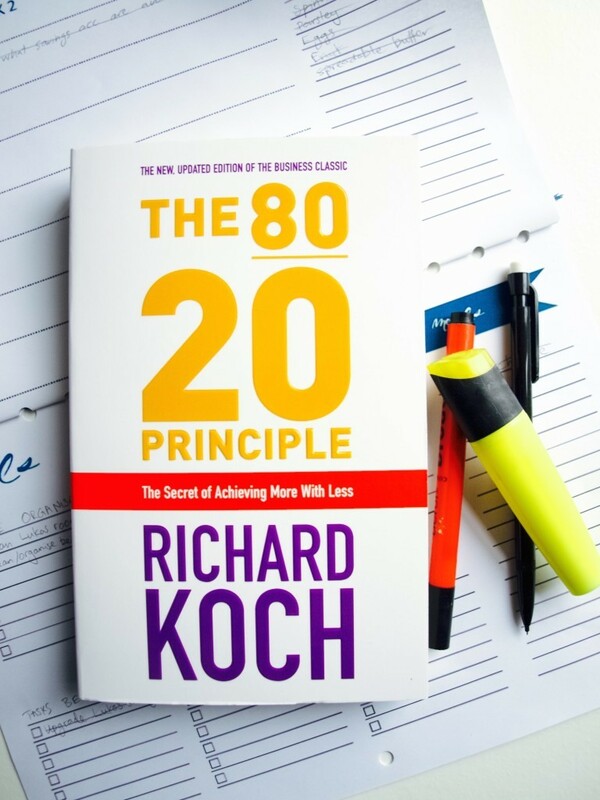 “The 80/20 Principle” by Richard Koch seemed like a book to read when your main goal this year is to organise your life and become more productive. Will let you know if this principle works for us ;-). 4. 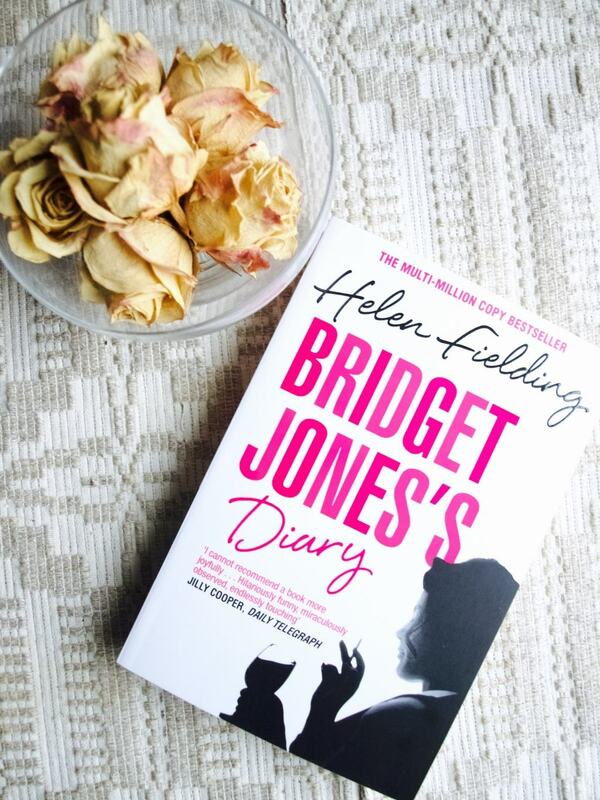 “Bridget Jones Diary” by Helen Fielding. Have seen all the movies (minus the latest), I think it is time to progress to books. Especially when your friend say the books are even better, hilarious to read! 5. 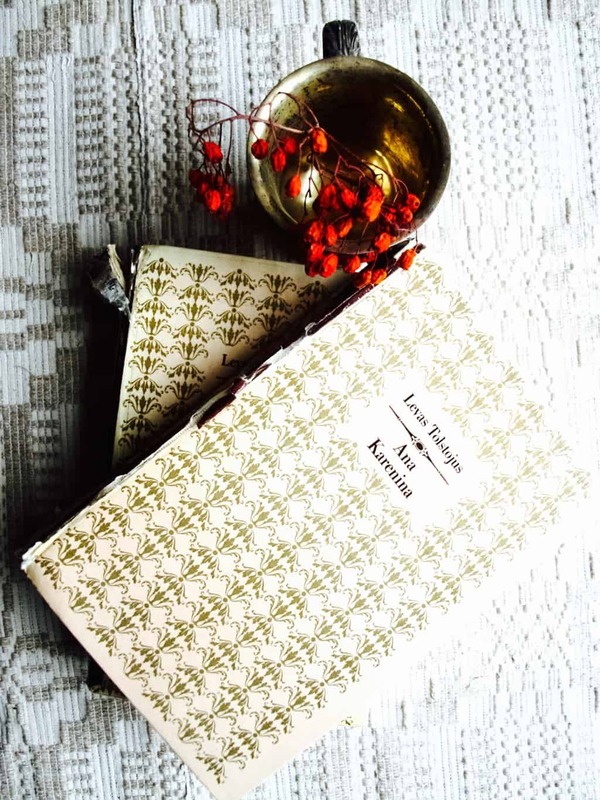 “Anna Karenina” by Leo Tolstoy is made of two books. No wonder I started it and never finished it even though it was a good read. 6. 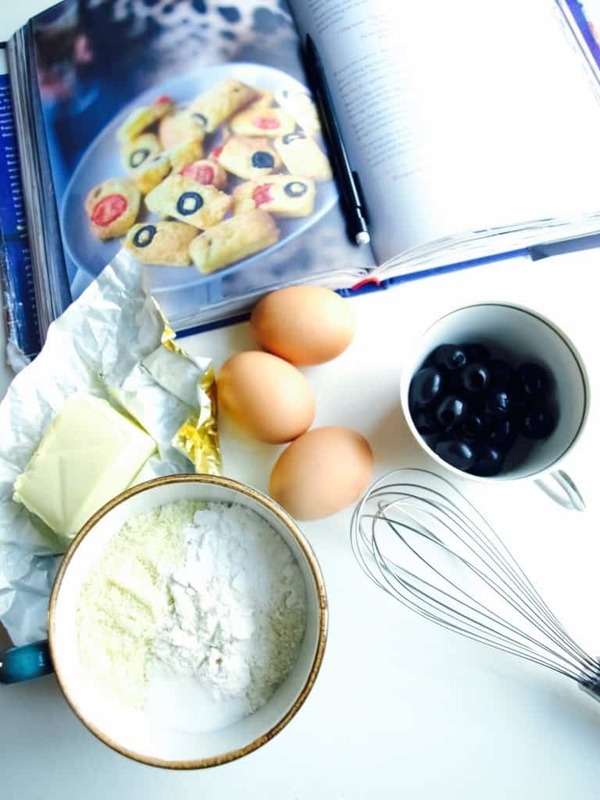 “Little Paris Kitchen” by Rachel Khoo is a cook book I know! How do you read a cook book you may say? Well, by reading the story behind those recipes while trying them out in the kitchen or not of course ;-). I have made few recipes from this book in the past, but planning to explore more and maybe to adapt few to our family cooking. 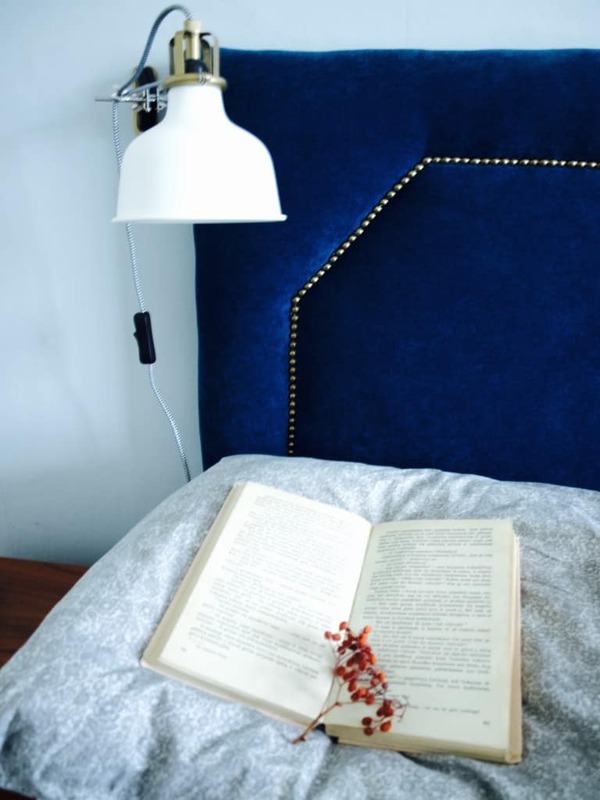 Hope you found my list inspiring! Well well well, where shall I begin. To start with I would like to say that I made my goal for this year, I finished this within a week (my personal best speed in reading. 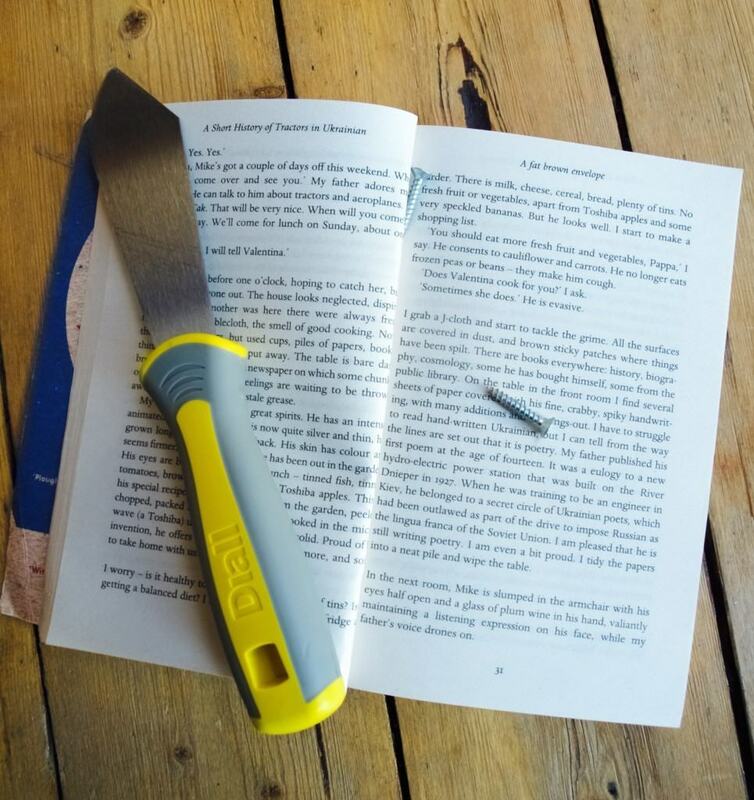 And the book wasn’t the easiest to read! Oh no! A lot of people I spoke to who read a little of this book (and not finished it) said it wasn’t what they like to read and that it was a very hard one to understand. I must admit I was confused many times, but I do believe I got overall view about it by now. Some people suggested that the story is allegorical and I don’t neglect the possibility of it, although I don’t think this is a case. The author gives a lot of comparisons such as hotel keeping and zoo-keeping or religion and zoology, but my personal opinion this is about faith and just because you don’t believe in this incredible story that does not mean it can’t be true. This is why author gave an alternative story to the investigators because they did not have faith, not because the other story is more true. Again, this is just my opinion and would like to hear your view too. What I liked about it? The story of course! I generally like inspiring stories and this definitely met my need. I even wondered if this wasn’t a true story at one point. It also fascinated me the knowledge of the author regarding animal behaviour which is what led the main character to survive with the tiger on the boat. And it’s not like it was easy for him, he had lots of ups and downs while “training” this wild cat so I think this is quite believable. What I did not like about it? Is the confusion between religion and belief in God. I think these are completely different especially when it comes to different types of religions. They don’t exactly match, yet the main character was practicing all of them. The year is almost to end and there is one more book to read, which is achievable but only just. 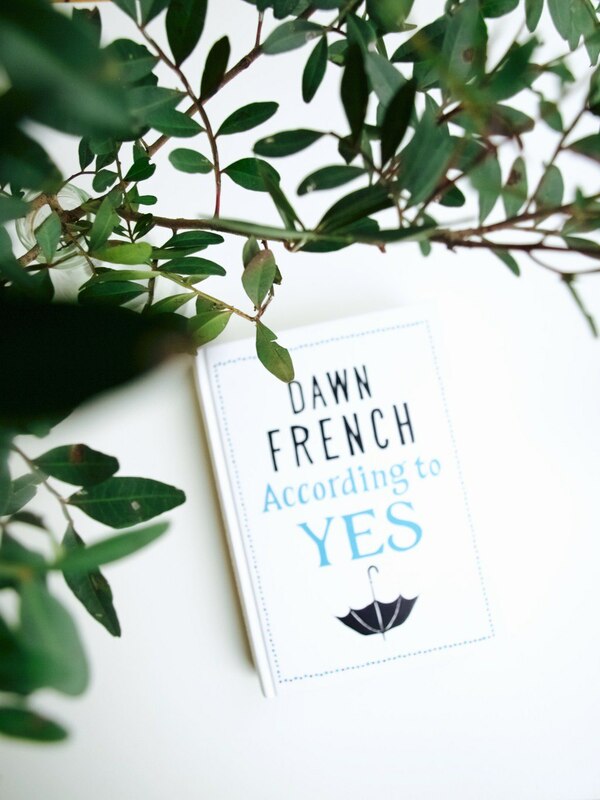 For now I would like to share my thoughts on the current book I just finished reading, “According to Yes” by Dawn French. As you know I love Dawn French writing style, however I found this book not as good as her previous ones. I mean it was ok and it was still enjoyable to read and there were few things that led me to dream a little ;-). What I liked about it? Great writing style, I have so much to learn from it! I also liked the main character (a nanny who looked after 8 year old twins) how she was able to teach through creative way. I loved how she took kids on adventures to most boring places such as bank or court room and made it very engaging for them. She also involved them in gardening by creating one on the roof. All this made me dream about when Lukas and his little brother will be older and I maybe will be able to do all this cool stuff with them. What I did not like about it? The moral of the story, I found it really confusing what the writer thought was the right thing to do and what is not. All I understood is that in her story everyone is a human and therefore make mistakes, which of course I agree with. I guess I found it a little drastic and shocking of how characters did not think of the consequences before acting. I felt like reading “50 Shades of Grey” although I can’t quite compare to it as I never read that book in my life. I have read this book a month ago but did not find the time to write about it. Where did all the time go?! We were busy DIYing and Lukas was ill for a while. Hopefully back to track now! Ok, here is what I thought about a book, it was as amazing as the other book Marina Lewicka wrote. Maybe “Two Caravans” were slightly better, but only slightly! I really enjoyed reading it while Joni was drinking cider from Normandy which added more senses into the story. There was lots of apples involved, because the main character liked picking apples, storing them and cooking them. So you can imagine me smelling the cider, which smelled like fermented apples made me feel like I am in the story as well :D.
What I liked about it? Everything of course! like “Two Caravans” there was a strong Eastern Europe culture feel to it, although this time it is mostly focused on Ukrainian culture. 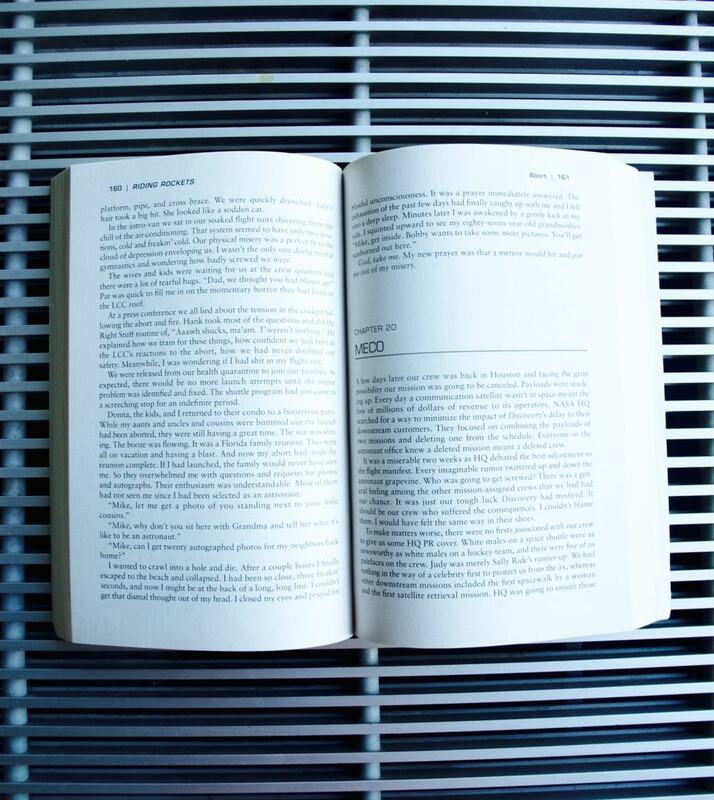 The writing style is quite different as well compare to the other book of same author. This time story is told by younger sister Nadia who tries to understand this highly hilarious and a little sad story from few different angles. And if you know me, I looove analysing conflicts from different angles (as long as I am not in it of course) :D.
What I did not like about it? Nothing in particular, I think it was a really good novel with lots of drama in it! Ok maybe the only thing I found boring is the actual History of Tractors that the main character wrote, but I guess that was essential setting for the background and besides it goes along with the title of the book! Is it worth buying? I think if you can understand Eastern Europe culture and be able to see positive as well as negative (seeing good in person even if that person seem complete evil) than give a try! I personally don’t regret in buying the book :). Next up is “According To Yes” by Dawn French. I expect this is going to be reeeaaaaaly good! I have been holidaying last week even though it did not feel like holidays at all as I had Lukas with me. It’s just not the same anymore! I found it difficult to relax and do my usual holiday stuff such as sunbathing and sleeping (I know, you might be thinking my expectations were very high). I think I will have to find a new way to a holiday and when I do find it I will certainly let you know ;-). Ok, it wasn’t thaaaaat bad! There were handful of people who were willing to look after Lukas sometimes. Therefore I did manage to read through this book that wasn’t easy to read at all. All those abbreviations and technical words needed some explanation from Joni. In the end I did enjoy it and thinking to read more astronaut memoirs! What I like about it? The honesty! 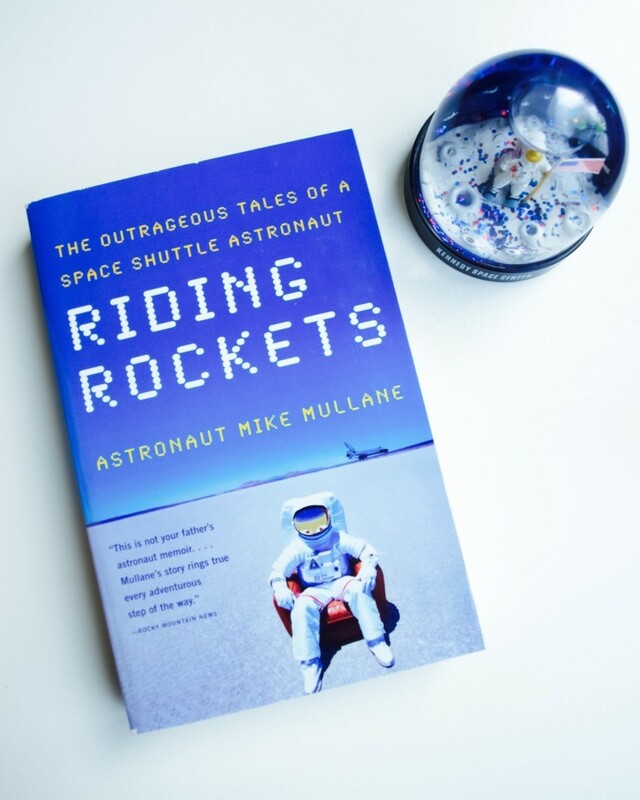 It was refreshing and sometimes shocking to hear what Mike Mullane thought about woman astronauts, how his body reacted to space (very private information!) and what they would do to go to space (basically anything). I also enjoyed reading a rich description of a beautiful light show in space. What I did not like about it? I think reading about Mike’s emotional roller coaster while he was waiting to be assigned to a mission and then waiting for it to launch. I found it very tiring to read. His dissatisfaction with NASA management were too depressing. The only thing that kept me going is knowing that this book would not exist if Mike Mullane never went to space. I finished reading this book last month just in time for Lukas to start solids. And how is that going you may say? Well, Lukas turned out to be a very independent eater and very messy one. Sometimes I feel like dropping off some food at his table and running far far away, because I can’t cope seeing him putting the food all over his clothes, hair and face and floor and whatever he can reach. This was certainly not how I planned! When I decided to start weaning Lukas, I had a very clear plan to begin with purees. You see I was quite inspired by the French method to introduce new tastes gradually, which is adding veg purees to their milk (read this in the book). Since I am breastfeeding I have lovingly made all types of milkshakes and froze them into cubes (it was too precious to waste even a drop). That included beetroot, courgette, carrot, spinach all steamed and whizzed in the food processor so I could save all the nutrients. So you can imagine my disappointment when Lukas simply refused to be fed by spoon! He was grabbing the spoon instead and dashing all the contents of it on the floor. At the end I gave in and now I let him feed himself with finger foods which apparently is called “baby led weaning” (never liked the title, baby leading?). At least it seems it is going somewhere although I am really holding on to other “rules” that I learned in this book. What I like about it? Well… this book is very similar to the previous book I read. Both make an observation on French parenting that is very very similar even though the authors are different and the places they lived in France are different! However Karen Le Billon have focused here on food. And who would argue, French do seem to have a really strong food culture going. 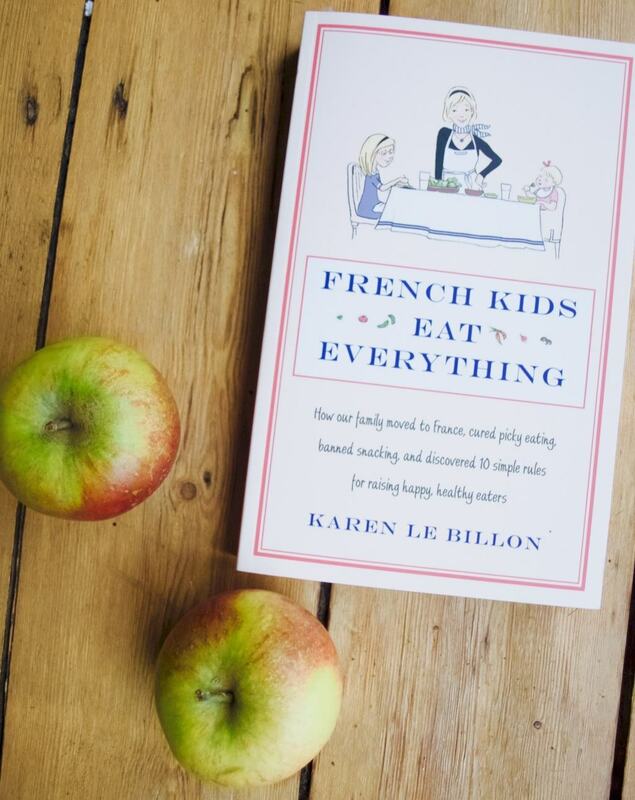 So its good to know what French do to help their kids to learn to love food. It was an interesting read and my favourite “rule” was how you should not give up and keep offering (not forcing) different types of foods to your child and not presuming that they just don’t like it. It just makes sense that kids at young age have not developed tastes therefore they are still mouldable. That’s good news right? What I did not like about it? Since I read two books about a very similar subject, I will say I prefer Pamela Druckerman’s book. First of all she had more chic in her writing. Not too sure if it’s because she lived in Paris, unlike Karen Le Billon who lived in countryside. I think Karen herself must have a bit stricter, more controlled personality, because she turned her observations about French parenting into rules which made the book not as fun to read. Pamela on other hand made it sound all very simple. This is the first book I read from my book list this year and I am glad I started with this particular one. 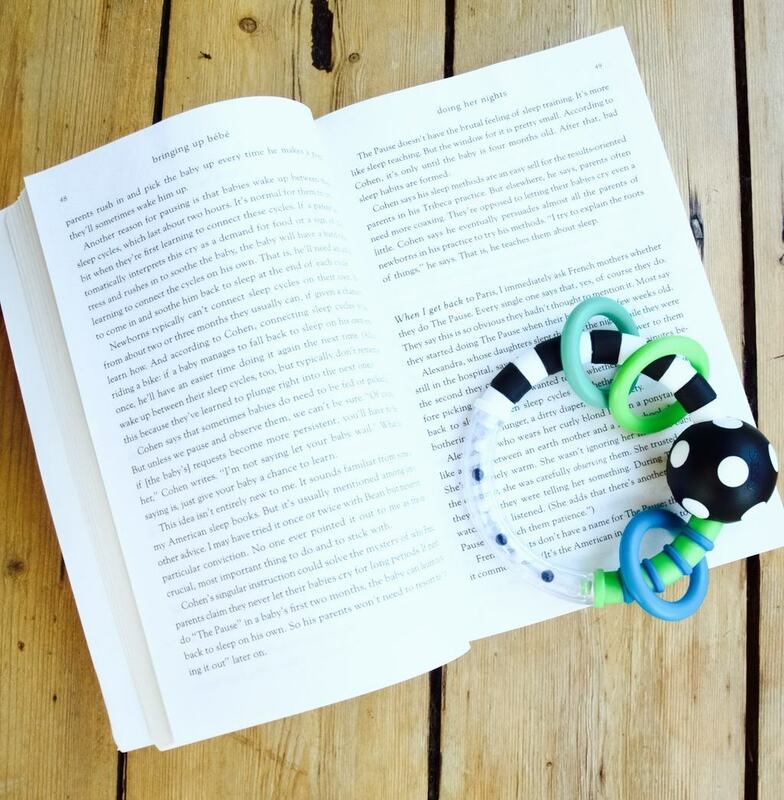 It gave me lots of good ideas on how to deal with usual baby problems (sleeping for example) which is what I needed to cope with the first few months of bringing up Lukas. This parenting style (if you want to call that) appealed to me a lot, it kind of agrees with “Baby whisperer” by Tracy Hogg. Except this book was much easer to read and so much more glamorous just because it is based on French parenting. What I like about it? Is the story behind it that completely sold me the book. 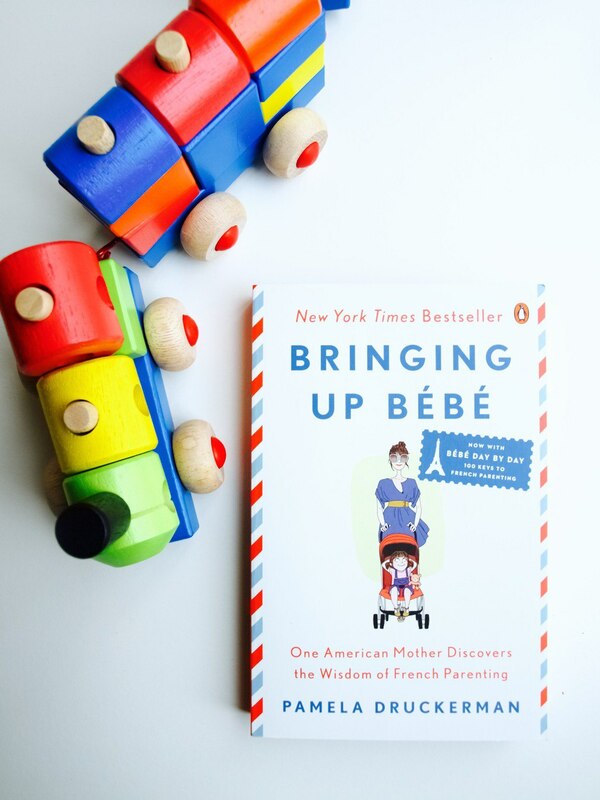 To say it quick it is about American mother discovering wisdom of French parenting, which seem so chic (if parenting can be chic). I also think the author is an amazing writer, she shared some personal experience which was quite amusing (and some are even very private). I liked that she applied the parenting wisdom she learned on her own kids and also did some scientific research to back it up. Have I tried any of these parenting tricks myself? Only one, how to get the baby sleep through the night. And I was surprised with the outcome to begin with. Although I got little scared how it effects Lukas feeding, because he is not gaining weight that easily. So now we are back to waking once a night and that is satisfactory to me and much better than the other babies I know around me. Or maybe I just have an easy baby? … Oh and another thing I love is that she drops a lot of French words into the story. Makes me want to learn some French myself! What I did not like about it? “Non”, nothing at all! Is it worth buying it? absolument oui! Thanks for letting me share my thoughts on this wonderful book! 1. “Bringing up Bebe” by Pamela Druckerman have been in my wish list on Pinterest for ages and I realised now it’s the best time to read it. I am on it now and I must admit I am impressed! Let’s see how I get on with the baby advice it gives ;-). 2. “French Kids Eat Everything” by Karen Le Billon is another book that have been on my wish list. 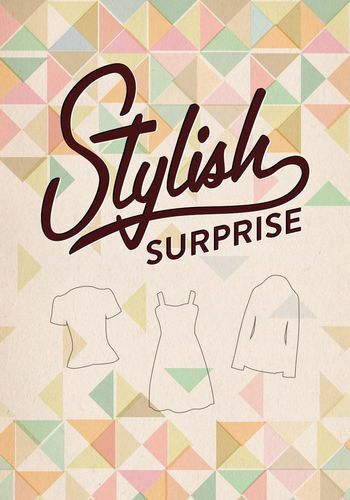 Yes, it’s also french inspired and I can’t wait get my hands on it! Hopefully in time before I start weaning (so looking forward!). 3. “Riding Rockets” by Astronaut Mike Mullane have been spotted by Joni at Kennedy Space Center last year (yep, we are both space fanatics that dream to go to space). Let’s see who reads it first! 4. 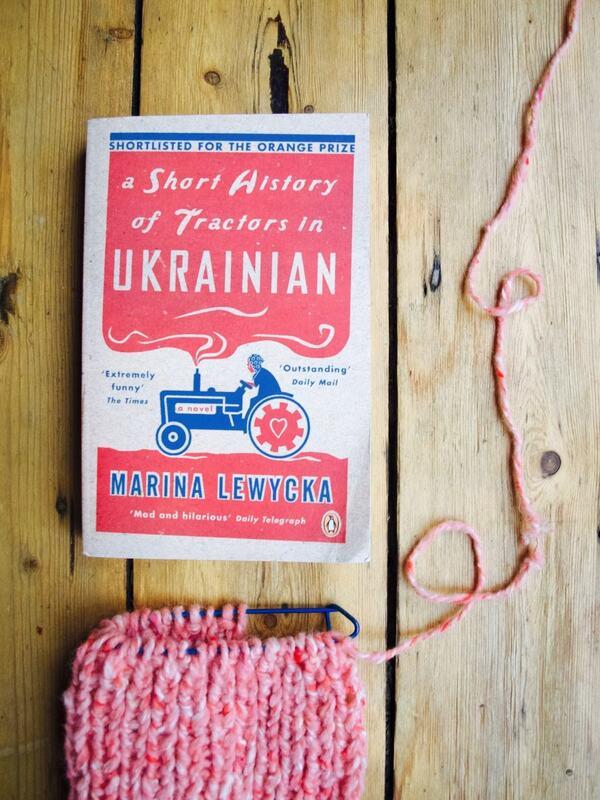 “A Short History of Tractors in Ukrainian” by Marina Lewycka is on my list because she is my favourite author of last year. I am expecting to lol when I am reading this book ;-). 5. 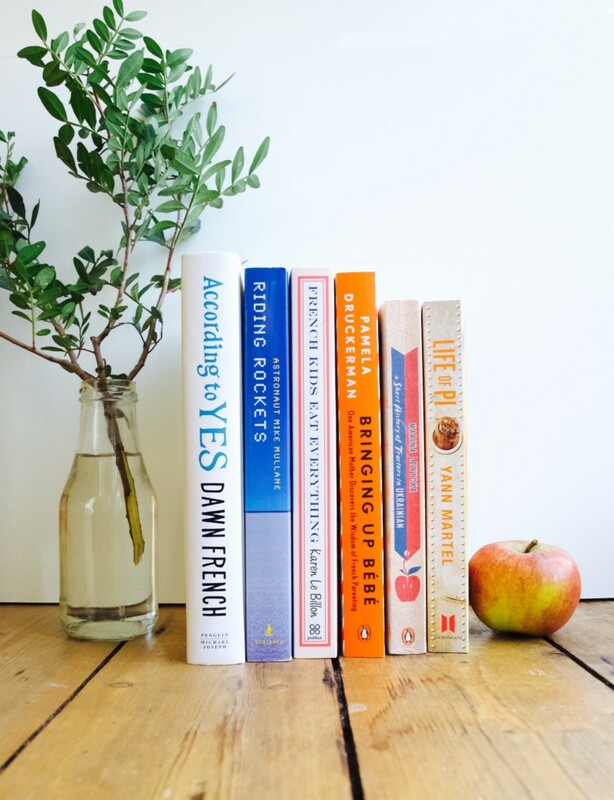 “According to Yes” by Dawn French is an obvious choice. I absolutely love her writing! This is going to be a third book I read that is written by her. 6. 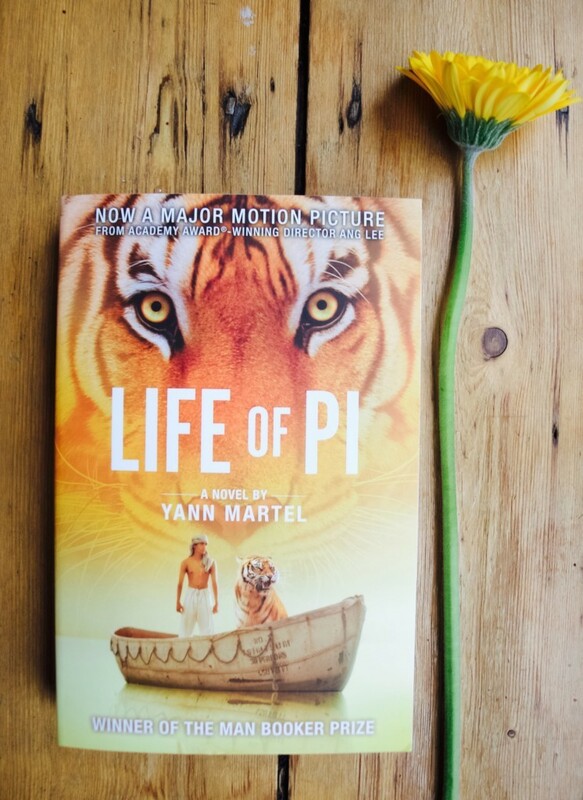 “Life of Pi” by Yann Martel made it to the movies! Although I generally like to watch a movie after reading a book, this time I am doing it the other way round. 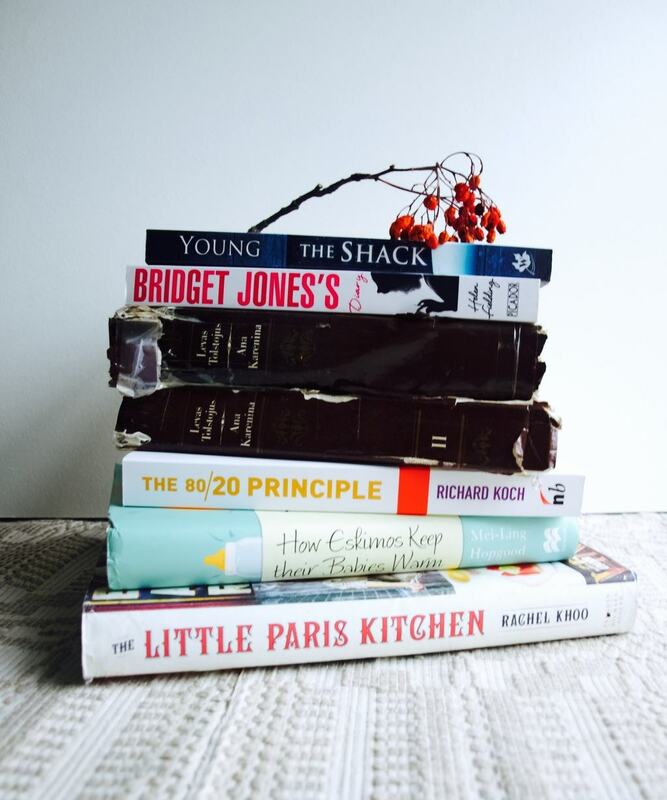 Hope you found my book list inspiring this year. I will attempt to review them as last time in my own way (which may not be very professional, but definitely honest).